Gucci is an Italian luxury brand of fashion and leather goods. 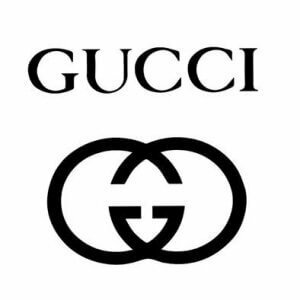 Gucci was founded by Guccio Gucci in Florence in 1921. Gucci generated about €4.2 billion in revenue worldwide in 2008 according to BusinessWeek and climbed to 41st position in the magazine’s annual 2009 “Top Global 100 Brands” chart created by Interbrand; it retained that rank in Interbrand’s 2014 index. Gucci is also the highest-selling Italian brand.